Cyndi is the nurturing wife and life partner of Warren Brush and is a mother, grandmother, and lover of the quiet voice of nature. She loves and appreciates the weaving of baskets, singing of songs old and new, making and playing a myriad of instruments, tanning hides, studying the origins of things, spending quality time with family, mentoring young women, tending and honoring the farm animals and plants, and feeding that which sustains us. 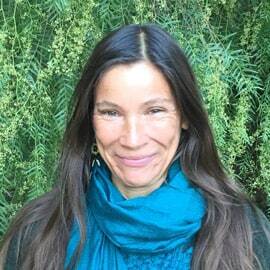 She is a cofounder of Wilderness Youth Project, Quail Springs, and Casitas Valley Farm and Creamery.